I would like more information about 1221 10th St, Hermosa Beach, CA 90254 MLS #19453002. Furnished or unfurnished. Pets considered. High-end furniture, trendy decor, and modern technology incl. internet, cable and ADT alarm with video monitoring. Kitchen features stainless steel appliances and granite countertops which opens up to a dining room and living room, newer windows with lots of light, and private back yard. 55 flat screen HDTV in Living Room! A must see property in an A+ location perfect for the professional and recreationalist alike. Walking distance to the beach, shopping, restaurants, and amenities including Trader Joe's, Starbucks, Vons, CVS, Chipotle's. Award winning schools! HERMOSA VIEW SCHOOL, HERMOSA VALLEY SCHOOL, MIRA COSTA HIGH SCHOOL. Open concept 3 bedroom/2 bathroom layout with hardwood floors throughout the home. The kitchen is bright with brand new stainless steel appliances. Bathrooms with Carrera marble subway tiles/flooring with modern vanities and glass shower enclosures to complete the look. Landlord will provide New washer and dryer. The property on 1221 10th St, Hermosa Beach, CA 90254 is listed for $4,300 as MLS #19453002. 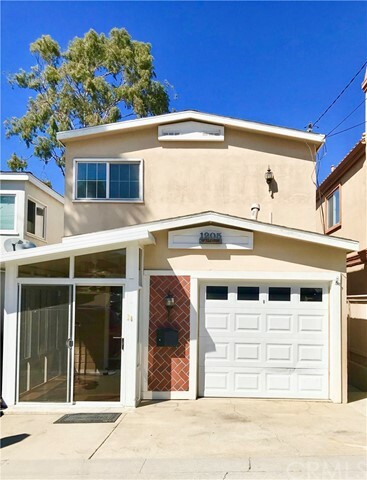 This 3 bedroom, 2 bathroom 912 sqft Single Family Residence built in 1956 located in Hermosa Beach, CA 90254. For more information regarding this or any other property in Hermosa Beach, please contact us at (424) 272-1339.